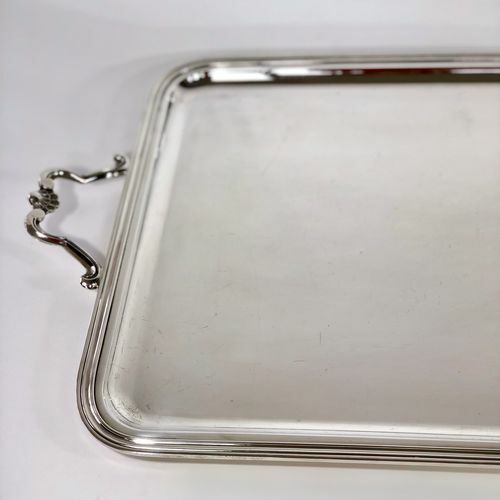 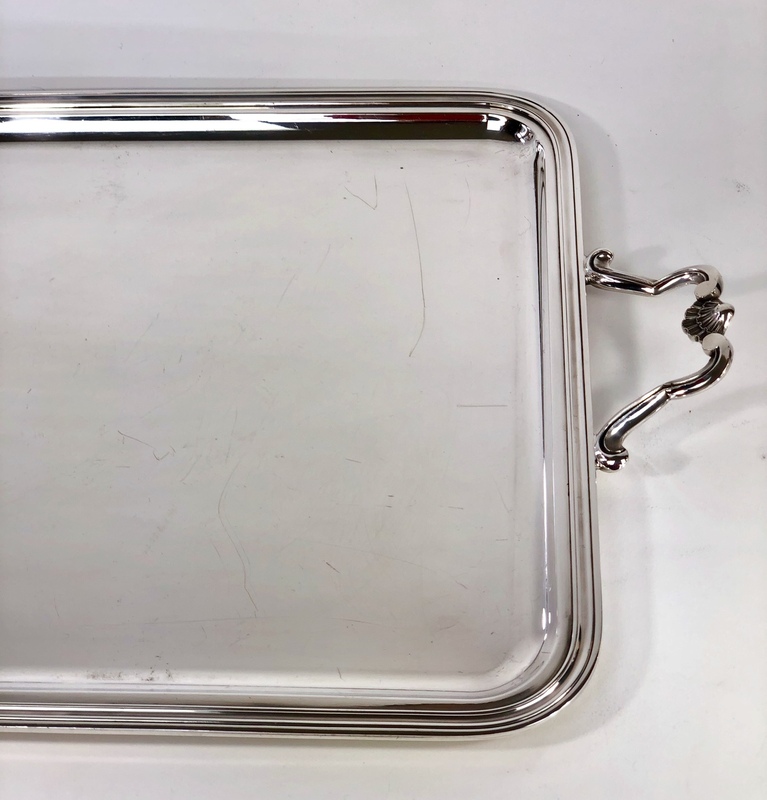 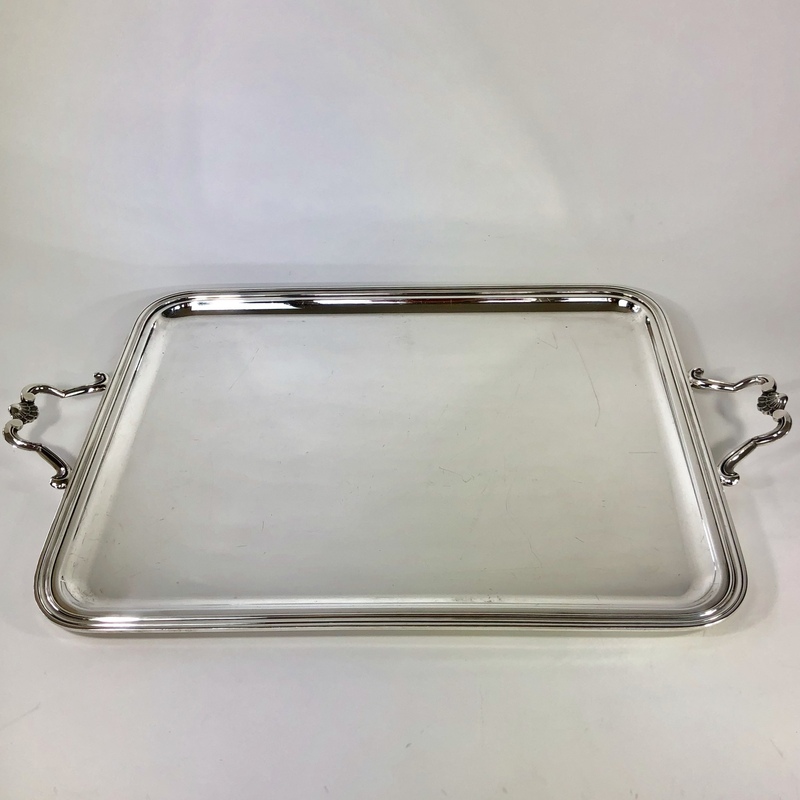 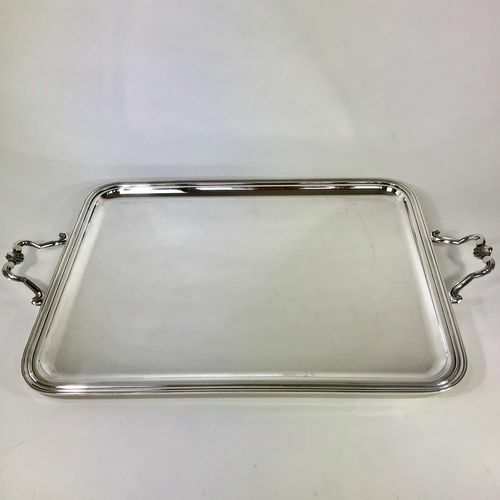 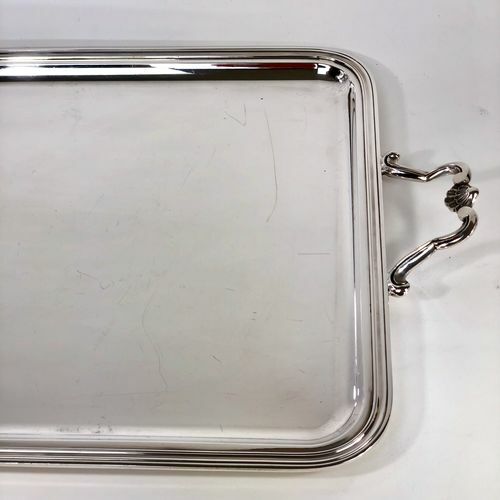 An excellent quality Mid 20th Century large silver plated twin handled drinks serving tray by Christofle, Paris, 68cm long x 42cm wide £395. 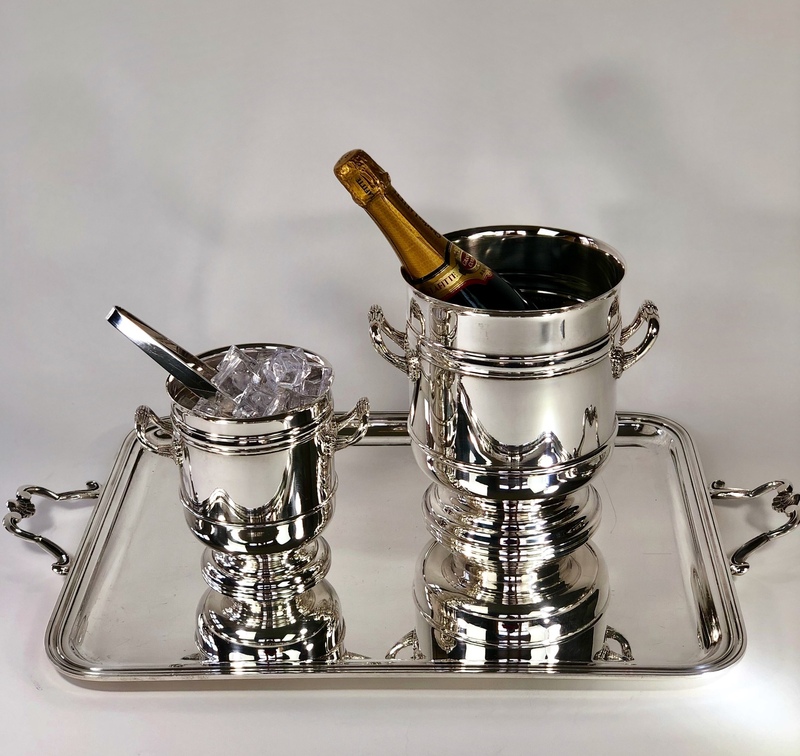 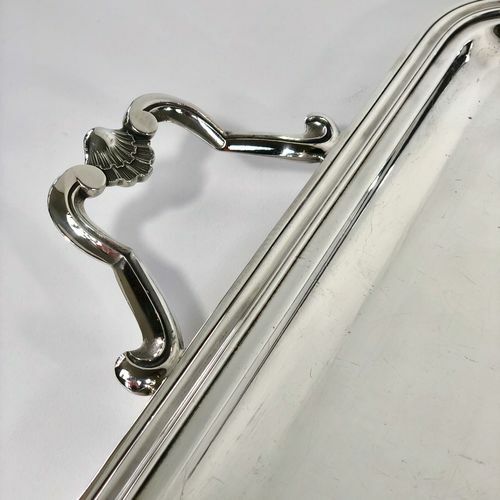 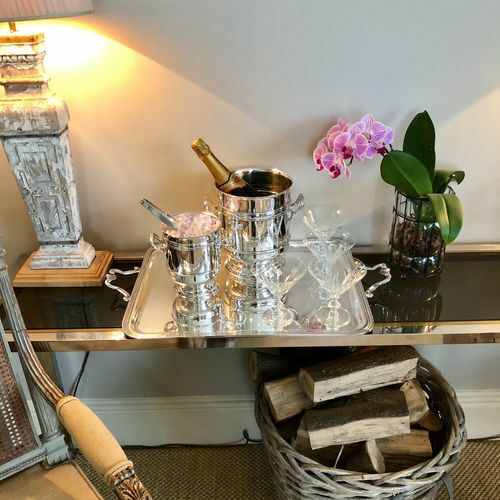 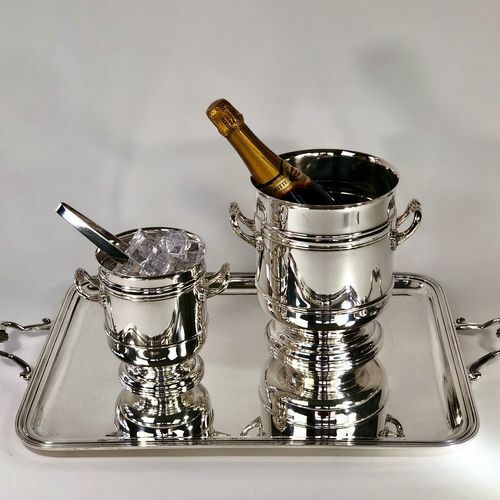 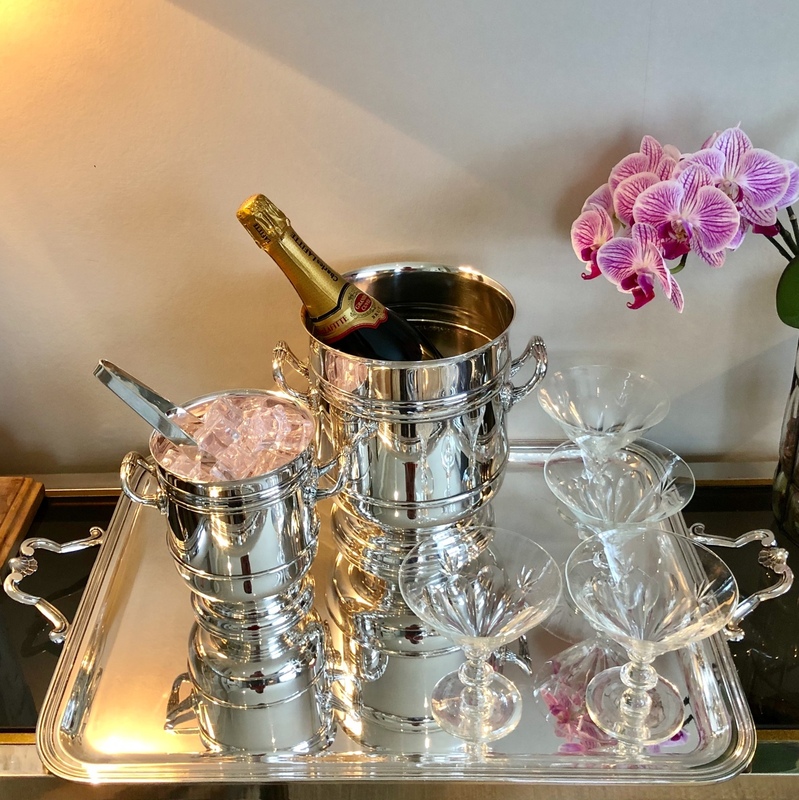 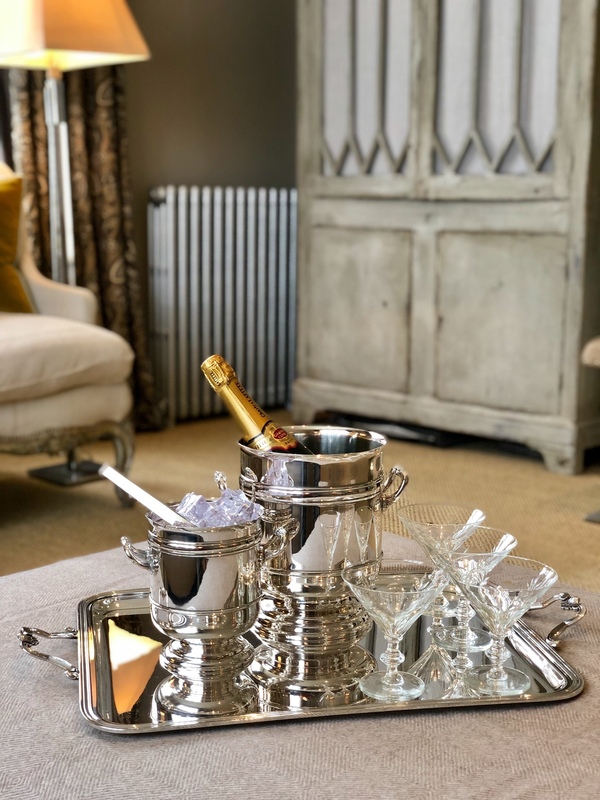 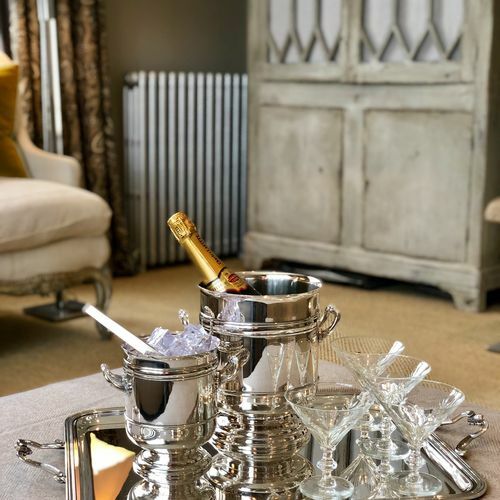 The Mid 20th Century silver plated ice bucket with tongs and matching wine cooler in the 'Malmaison' pattern by Christofle, Paris, are also available). 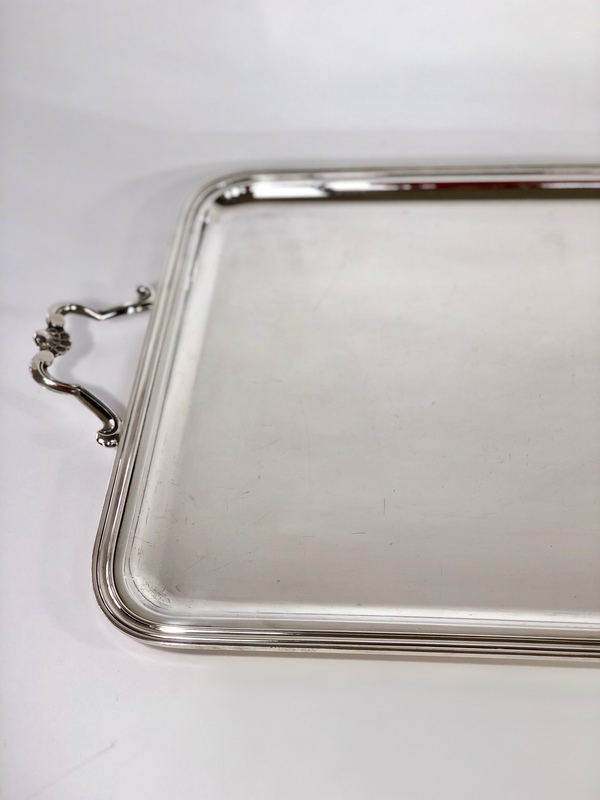 All in excellent vintage condition with only a very few light scratches commensurate with aged use.